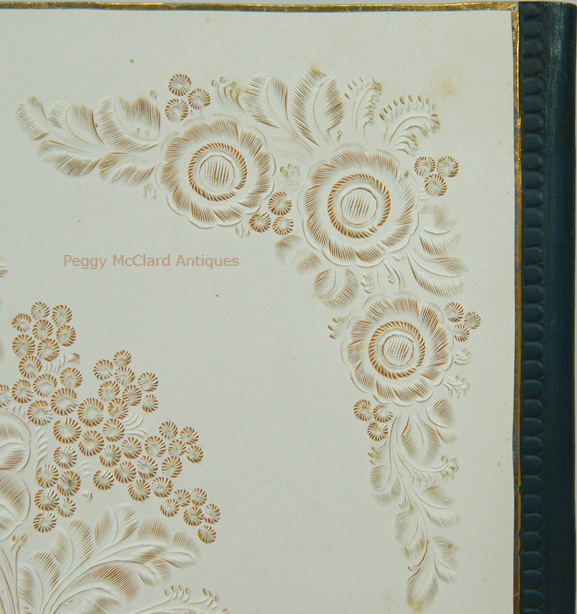 Antique Cutwork Paper Scrapbook or Album of School Girl or Young Lady. 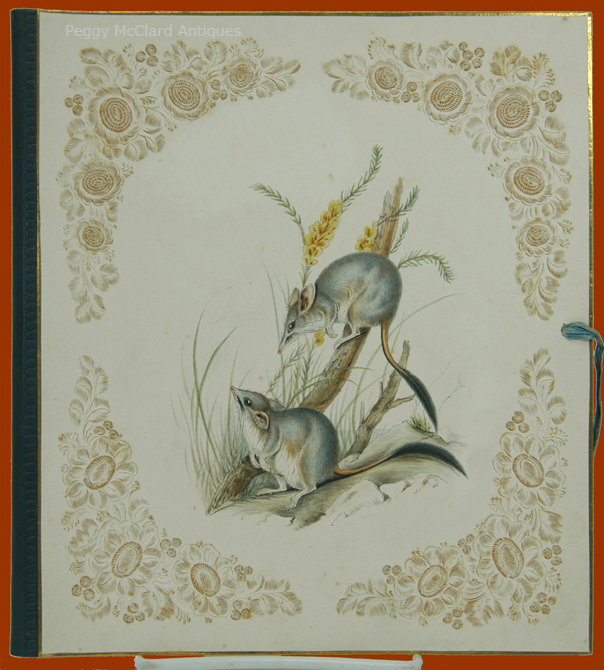 An exceptional late 18th or early 19th century cutwork paper scrapbook or card holder with watercolor painting of field mice. 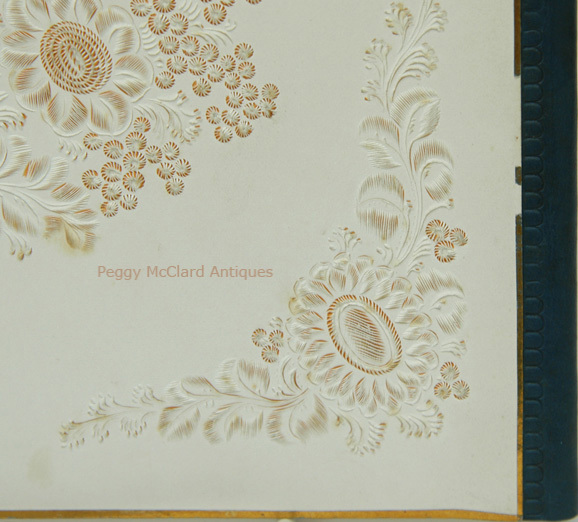 This notebook folder is a wonderful piece of school girl or young lady's artwork. 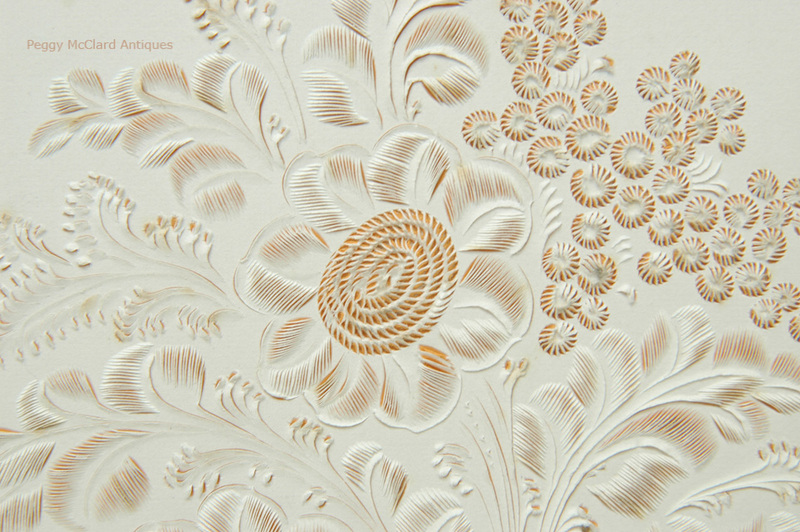 It is completely hand made of white paper, carefully cut with a knife. 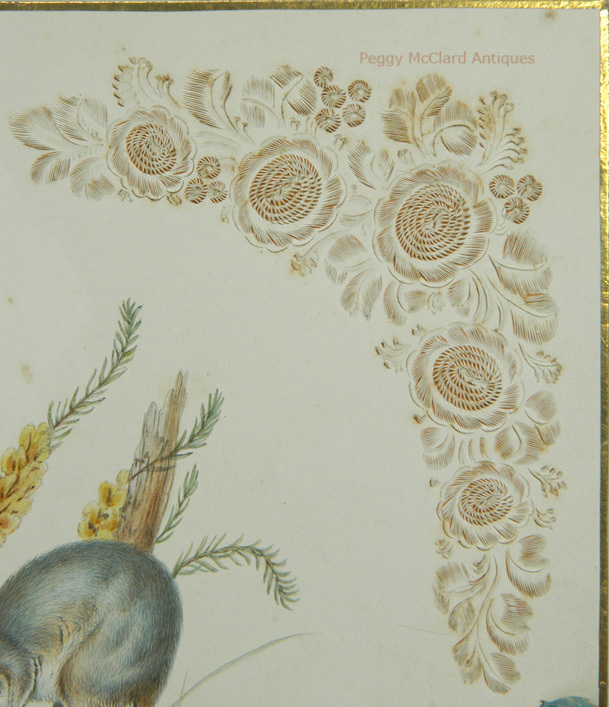 The cut edges were then gently bent outward to make the floral design 3-dimensional. 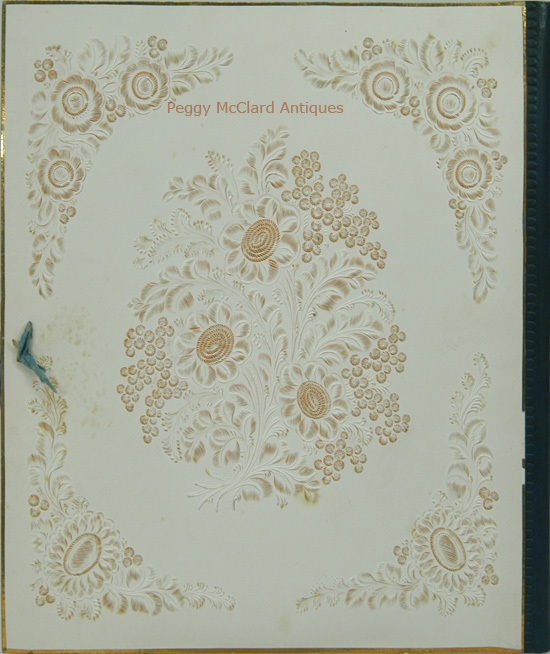 The white paper was then laid down over a darker mustard or ochre colored paper so that the darker color shows through, giving the cutwork even more dimension. 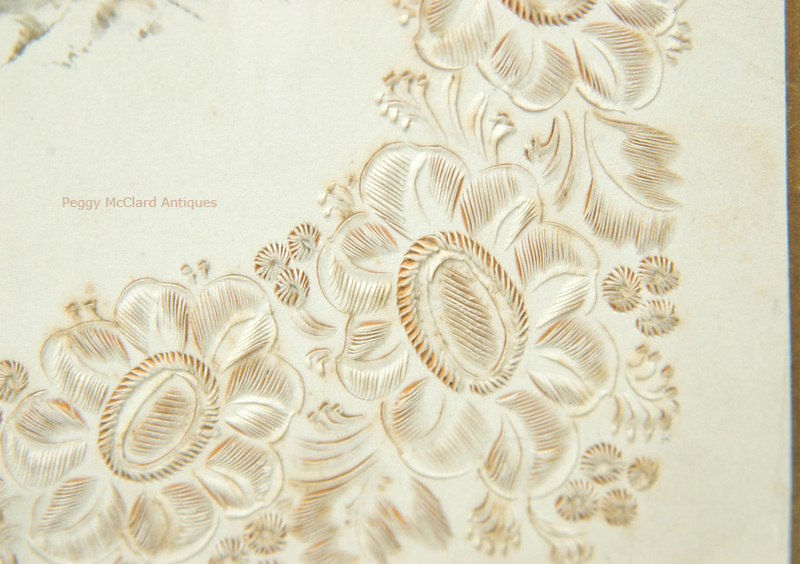 This is the art form from which the cut and pierced lampshades of the 1980s country antique craze were fashioned. Believe me when I tell you how much precision and work this artwork took because I used to make and sell those lampshades! 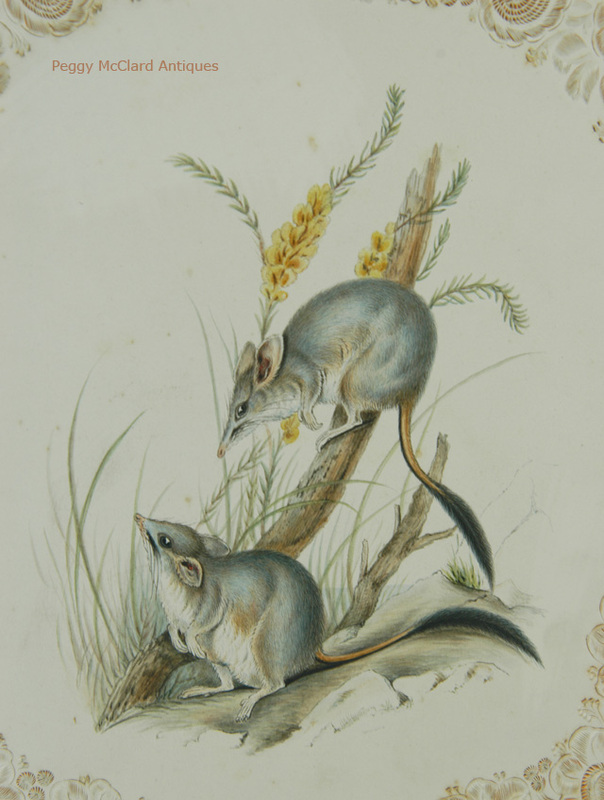 The watercolor portrait of two field mice is just as expertly rendered as the cutwork that frames it. 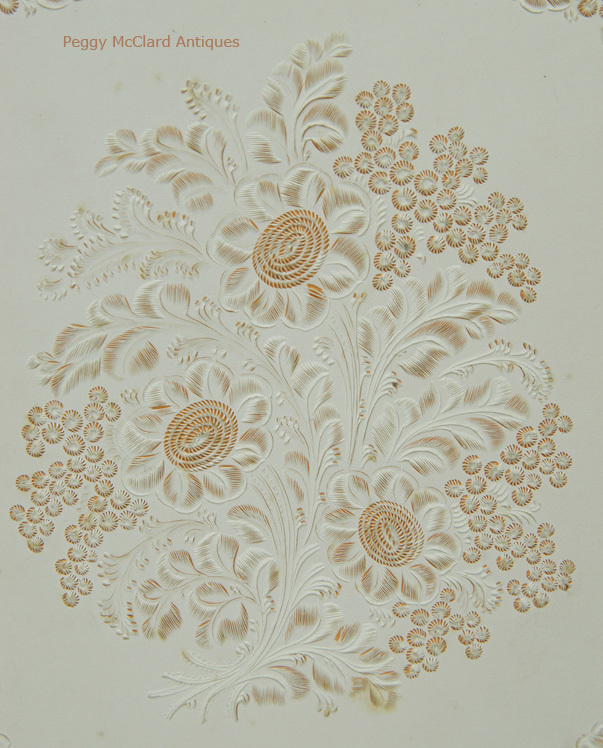 The back of the album has another delightful and complex cutwork design with a center spray of flowers. 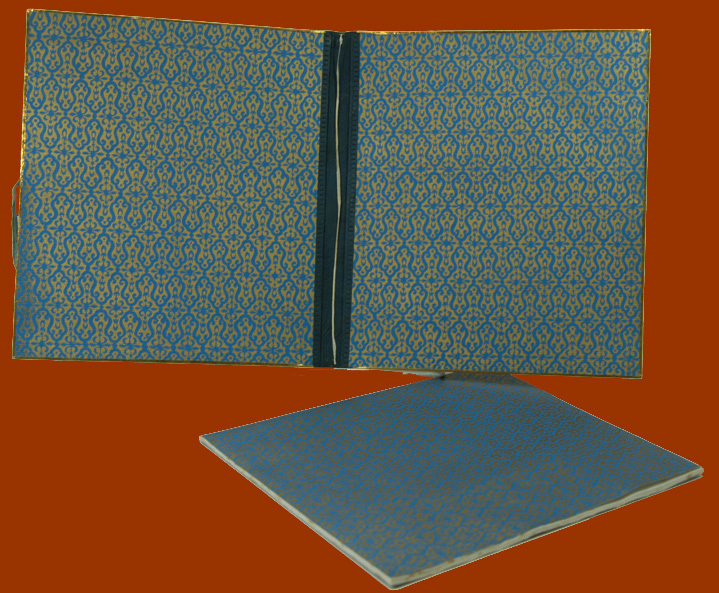 The white paper is edged with gold foil and laid on stiff card which is bound with blue leather. 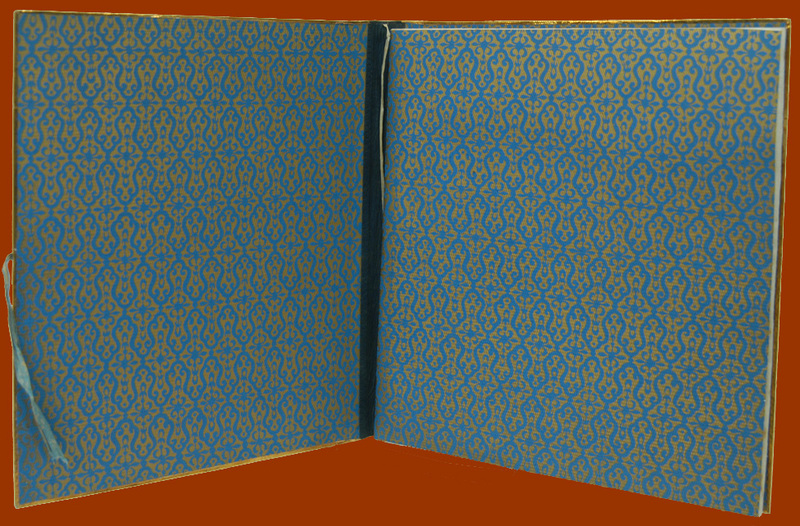 The interior covers and the covers of the interior booklet are lined with a rich royal blue and gold rolled patterned paper. 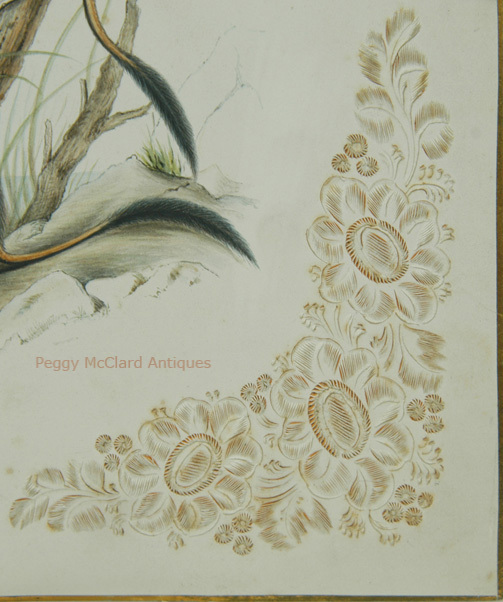 The separate interior booklet is comprised of fourteen leaves of blank late 18th century laid paper which is watermarked "J. Gater." The cord that held the interior booklet in place has broken so that the booklet easily removes. One of the ribbons that originally tied the book closed is broken off. 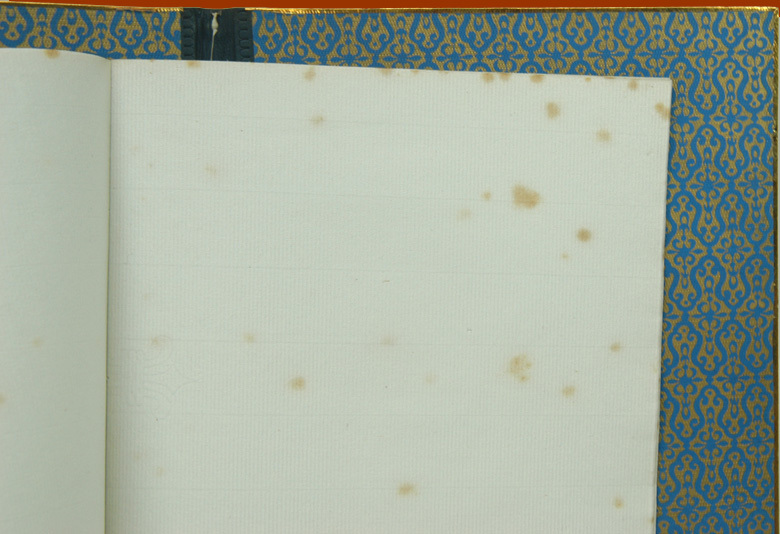 The interior pages have scattered foxing and there are a few very light scattered stains to the outside of the album. Bits of the gold foil are missing. But, overall, this rare and creative album is in excellent condition for its age. One usually finds these albums falling apart and seldom so well done. 9 3/8" x 8 1/2". Displays beautifully on an easel stand of just laying on a table. 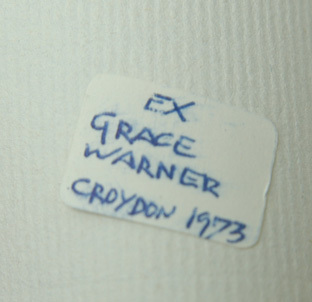 A modern label on one of the interior pages identifies the booklet as at one time belonging to Grace Warner of Croydon, 1973. I believe that Croydon is just sound of London. This is a real gem! I've loved it for quite a few years and am finally willing to offer it for sale. Circa last decade of the 18th to 1st quarter of the 19th century.